Hey Ed, what is this and how much can I sell it for? 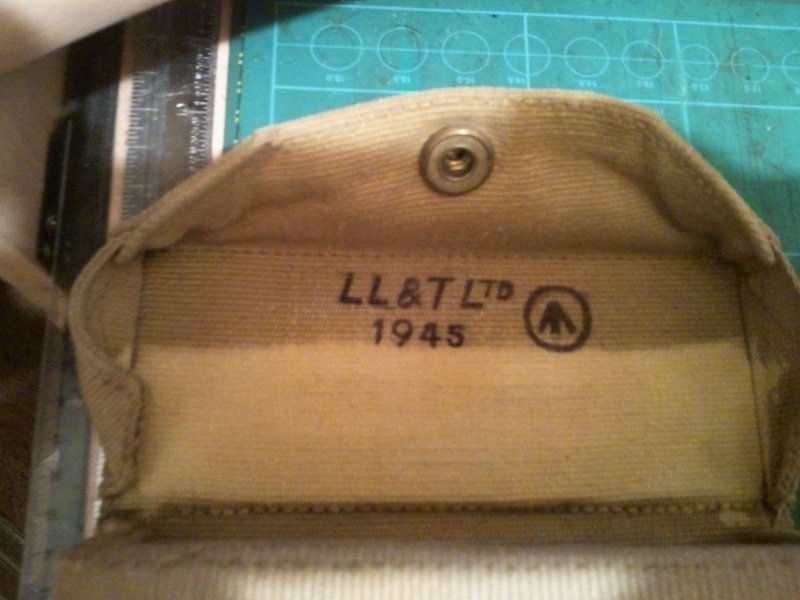 That is a very rare 4.2" Mortar Sight Carrier and only made for one year by Leamington Lighting and Tableware. Worth at least $150.00 as it was only issued to the Airborne for the proposed invasion of Japan, as indicated by the Broad Arrow O. Re: Hey Ed, what is this and how much can I sell it for? Wow! That is an amazing find. 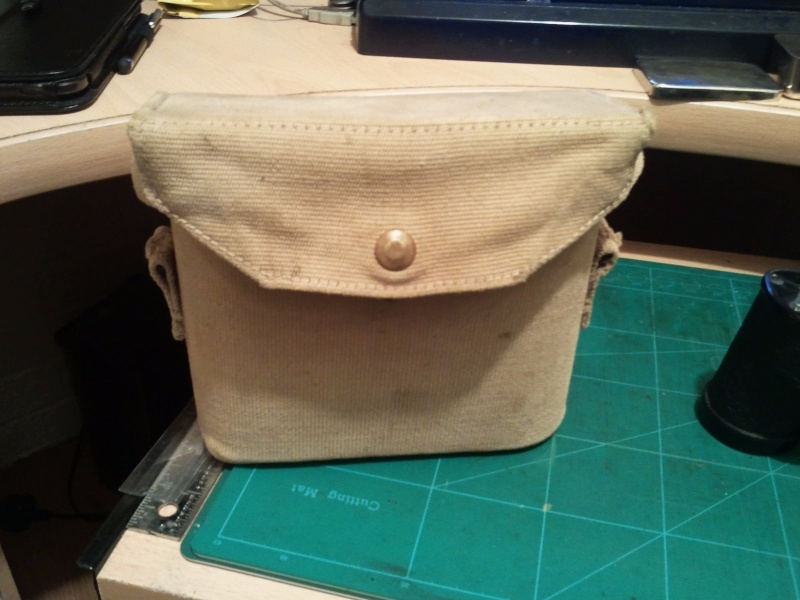 I would have thought it was just a later war binocular case. Ed, I also did not know the 4.2" mortar was issued to airborne troops. The reading I have done refer to the massive 4.2" as being mostly used by the artillery? By the way, thanks for the identification and pricing Ed! I'll be sure to copy and paste your description into my eBay listing and start the bidding at $140 (I wouldn't want to get greedy). Considering you took the time to provide the information (erroneously thinking that I was a fellow collector with a genuine interest in the item), I'll be happy to sell it to you for, shall we say, $130? I would be happier with $120.00 as it is missing the quick-release snaps on the side of the case.